No matter what you want your next daily driver to deliver, one of the 2018 Chevrolet Equinox trims is up to the challenge. This all-purpose crossover is great for families in St. Augustine, adventurers in Orange Park, or value-oriented drivers in Jacksonville. And thanks to the wide and varied list of trims, there is a version of the Equinox to suit every want, need, and budget. Use this quick guide to decide which trim is right for you, then head to Nimnicht Chevrolet to explore the whole lineup in person. The introductory trim has an MSRP of just $24,525, but comes with standard features like alloy wheels, keyless ignition and entry, and a seven-inch touchscreen display with rearview camera and app integration. Under the hood is a 1.5L four-cylinder that produces 170 hp and 203 lb-ft of torque. The features list for this trim is much the same as the L. The most significant upgrade is the option to add all-wheel drive for better handling and more reliable traction when the roads are slick. Your Equinox has an upscale feel thanks to bright Xenon headlights, rear privacy class, and a leather-wrapped steering wheel. This trim is also available with upgrades like a larger touchscreen, advanced safety features, a power liftgate and much more. The high-end trim comes with everything already mentioned plus LED lighting, leather upholstery, and wireless device charging. It's also available with a panoramic sunroof, 360-degree camera, and seven-speaker Bose stereo. For many drivers, the LS trim offers the ideal balance of price of features and capabilities. In addition to the features mentioned previously, it comes with adjustable seats, a USB port, a six-speaker stereo, and OnStar with a 4G LTE Wi-Fi connection. The performance of this trim is also available for upgrade, as you can equip a stronger 2.0L four-cylinder engine or a more-efficient diesel engine. All of this adds to up give the latest Equinox its all-purpose credentials. When you’re ready to further explore the Equinox lineup, our impressive inventory makes it easy to find the trim, color, and options you want. 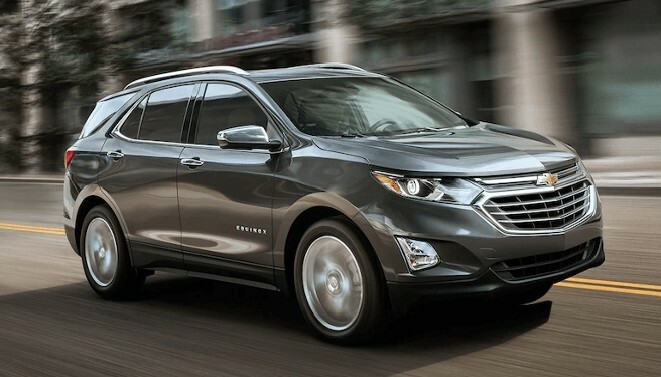 And if you have any questions about Chevy technology, our Chevrolet Connection Center makes it easy to learn your Equinox inside and out. Finally, our financing team makes it easy to get approved for a generous loan offer. Plan your trip to Nimnicht Chevrolet soon, and contact us to find out how this model excels over popular models like the Ford Escape.